i don't know anything about dogs. 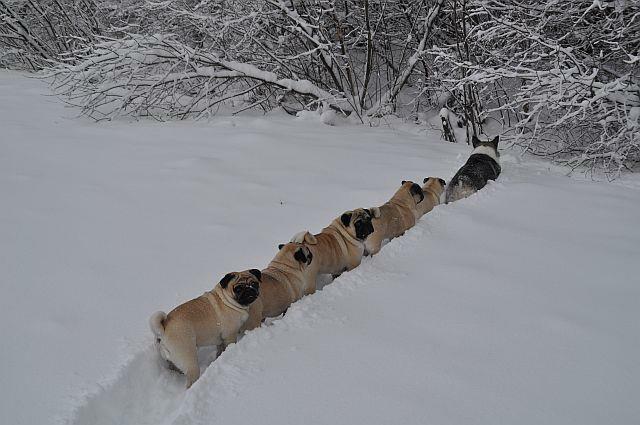 All i know is, here is a corgi, leading a pack of other dogs walking somewhere in the snow. Much punch a brick wall to regain manliness..